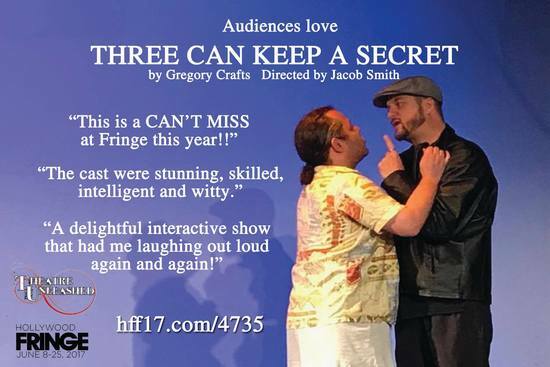 CRITICS ARE RAVING ABOUT THREE CAN KEEP A SECRET! 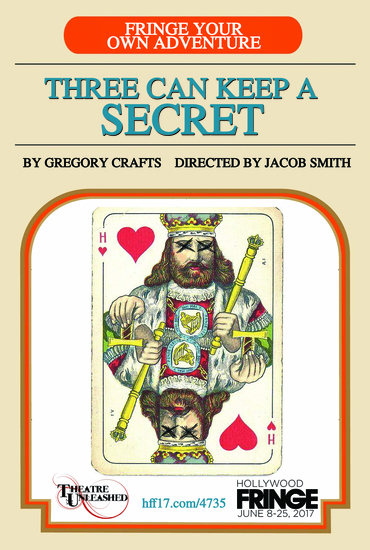 Three Can Keep A Secret, a new play by Gregory Crafts (Friends Like These, Super Sidekick: The Musical) is a darkly funny and slightly twisted interactive crime thriller where YOU, the audience, choose how our story proceeds while our anti-heroes attempt to literally get away with murder. 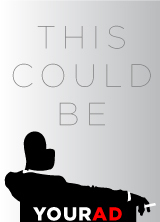 With multiple decision points throughout the story, no two performances will be the same!